One Heck of a Fence! Our most ambitious customer to date installs over 450ft of privacy fence! 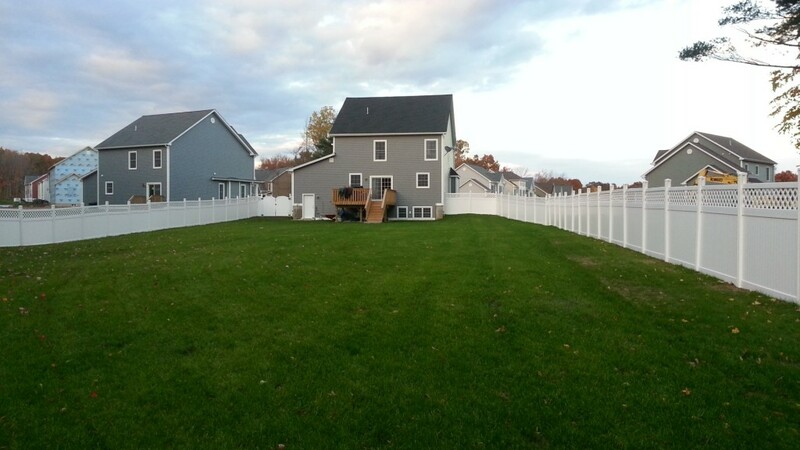 “I installed just over 450ft of this fence at my new house in just a couple weekends. I have some experience with fencing, as I did about 300 feet of wood stockade and vinyl privacy fencing at my last house. It took me a long time to complete and was a lot of digging. I wanted a fence that would go up easier and faster. That’s a lot of fence! At first I thought it wasn’t any easier to install than actually digging out the holes, then I had to dig out a couple holes because I hit rocks <24″ down. That’s when I realized the system was way easier. Digging a post out would take 20-40 minutes while driving in a anchor only took me about 10 minutes. I also realized I made a mistake not getting the pneumatic post pounder from the start as my productivity dropped off with the “Springy Suzy” as I tired after about 10 anchors. I did 20 anchors the first weekend and 35 the second weekend. Justin admitted that the double gates were the biggest pain! As a Licensed Professional Engineer (mechanical), I felt that the system is very well thought out and engineered. The parts are well designed, strong, high quality and they all fit together with no work (provided you keep the posts properly spaced and level). There were no missing or damage parts and the directions were easy to follow and very comprehensive. Thanks, Justin, for being such a terrific customer! A Fence is How Much?! People who have never had any experience with fence installation are generally surprised at the price of a good fence for their home. We know from the quotes we generate every day that a vinyl or aluminum fence is a large investment. It comes at a cost that the average person just doesn’t have stashed in the bank unless they have saved up. We would never want anyone to get in over their heads financially over their fence, so if the budget is a big factor in your fence project, we encourage you to think about some things. Your reason for needing a fence will affect your purchasing decision and time frame. If your reasons fall in the first two categories, you will probably need to figure out how to get the most affordable fence possible in the timeliest manner, and there are options. If you fall in the third category, often you can take some extra time to save your pennies or segment your fence project into different phases. How Long Will You Be At Your Property? If you plan on moving in the next couple years and the budget is tight, depending on the style of fence, you may want to pick up some cheap panels at the box store. However, before you do, be aware of some common pitfalls. A $49.99 6ft vinyl privacy panel is a great price and we are not arguing that. What people don’t realize is that there are a lot of hidden extras you need for your fence job: posts, caps, brackets, screws, concrete (120lbs per post), power auger rental, etc. As a matter of fact, for certain fence styles and if your project is over $2500, the box stores are not always cheaper considering that WamBam will ship it to your doorstep free. Not all vinyl fence is created equally. WamBam Fence is made with premium grade vinyl. Another consideration is that upon closer inspection of a vinyl fence purchased at the box store, you will notice the vinyl is very thin and in some cases even translucent. We encourage you to go to the store and squeeze the rails to see what we are talking about. 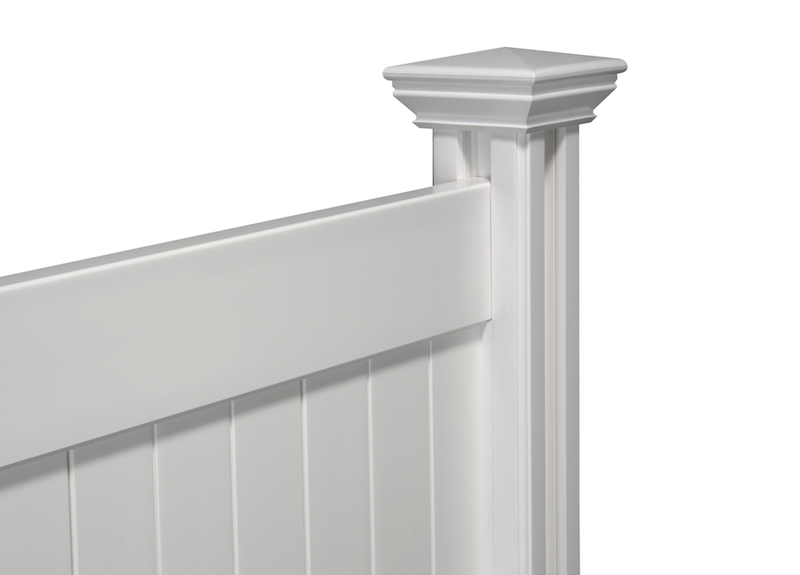 Additionally, the box store fencing usually does not have the limited lifetime warranty that many other vinyl fences do. They put in less UV inhibitors and take other shortcuts in order to manufacture the product as cheaply as possible. If you don’t have time to visit the store, you will want to see this page or watch this video to fully understand what we are talking about. Finally, don’t forget that with the box store fencing, you will need to dig holes and pour concrete, often by renting a power auger. It’s a lot more time and work, and most people can agree that time is money. In short, if you need a quick and cheap solution for a residence that you do not intend to stay at, you may want to check out what the big box stores have to offer. But do your homework, because the required fringe products, lower quality, and installation time may not equal to a whole lot of savings. Having said that, there are some cases in which this is the way to go. You also may want to check out a cheaper wood fence, but be forewarned, because after a few years, the time and money you put into it will negate any upfront savings. Click here to see a cost comparison of wood to vinyl. Can You Delay Your Project? 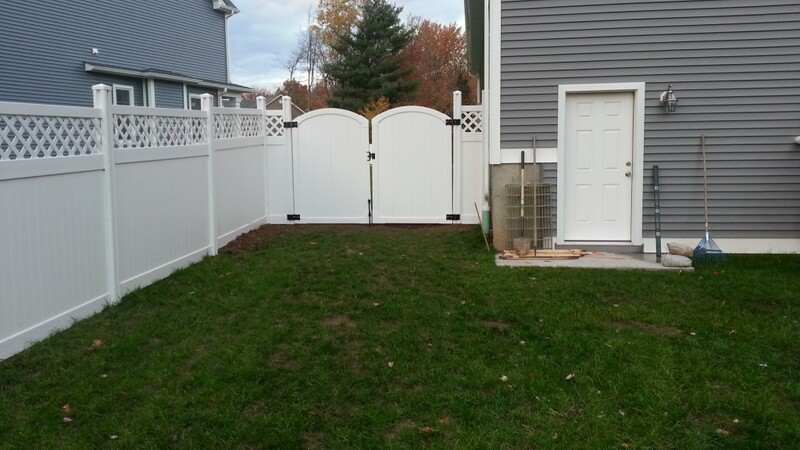 If you need a fence for privacy or because the neighbors are driving you nuts, chances are that you can wait a little bit to save up for the product. Delayed gratification isn’t usually fun, but in the long run it’s very satisfying! Another thing is that you can consider doing your fence in phases if you have a large yard that needs fencing in. Of course this isn’t always practical, because a single line of fence won’t contain pets or children, but it can help if you get creative. WamBam’s vinyl and aluminum fence systems are very scalable- you can easily add sections after the fact. You will want to remember that we offer free shipping on orders over $2500, so if you choose to do your fence in phases, you may be subject to some shipping charges. In our experience, many customers don’t mind this- especially if they are doing one big section per year. It’s also a nice way to break up the work load. Are You Comfortable With Financing? If you desperately need a fence and the budget doesn’t permit, yet you don’t want to get a low quality fence, some companies (including WamBam) give financing options. Generally you need to provide credit references and a down payment, but this is often a good option if you don’t have all the money upfront. Of course, you will want to make sure you can easily make the monthly payments so you don’t feel strapped down. If this is something you want to consider, you probably want to get a credit report in the near future, because you will be asked for it. Click here for more information on WamBam’s Easy Payment Plans. A fence is an investment. Some fence companies claim that it will increase the value of your home. We’re not sure that’s entirely true, but we do believe that it can help the salability of your home. Therefore, while you may not get your initial investment back when you go to sell, it will probably aid in a quicker sale- or a sale that may not have otherwise happened. Therefore, you should see some sort of return from your fence project, which is why you want to make sure it looks good. A fence contributes greatly to the first impression and curb appeal of your home- and it’s something you will probably be looking at every day! In our experience, there are 3 options for purchasing a vinyl or aluminum fence, and they vary from good, better, best. While we think our fence is a great solution for everyone, there are some cases in which it’s not. If you’re a busy person who needs a fence and has a fair bit of disposable income—or if you aren’t very handy—we recommend you get your fence installed by a professional. They will come in and do all the work for you. This is by far the easiest way to get a fence. 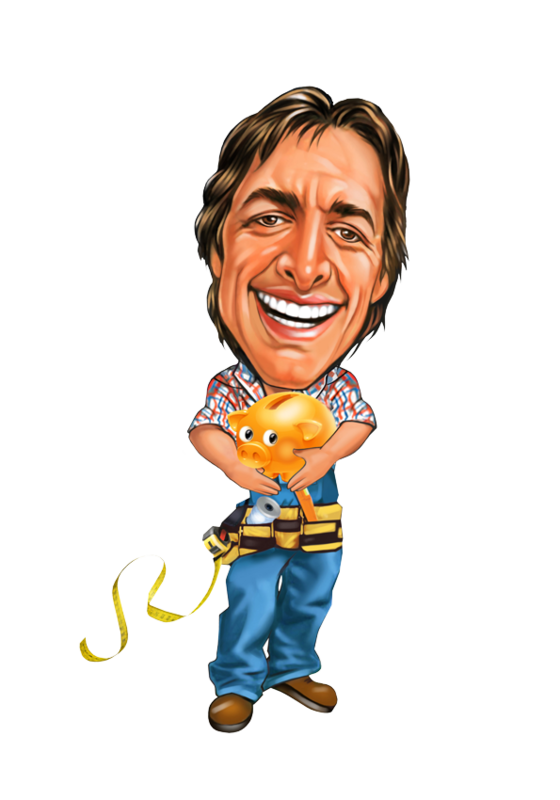 Just be forewarned that the labor isn’t cheap- it’s often the same cost as the materials. Also make sure that you choose a reputable company that has been in business for a long time. It’s actually relatively easy for anybody to buy a truck, slap a sticker on, and call himself a professional fencer, so make sure you do your homework. If you don’t want to spend the same amount on materials as labor to have someone install a fence for you, you’re going to need to do it yourself. This is where we believe our fence is an excellent option. We have designed our fence to be of great value to people- a professional grade product that a DIY person can navigate with relative ease. We personally feel that digging deep holes and pouring concrete to install a fence involves a lot of unnecessary time and work, so we are thrilled to bring our no-dig fence to market. We have so many happy customers that the product speaks for itself. We love to see people saving time with our product and spending more time with their families. Having said that, while our product is way easier to install than traditionally installed fence, it’s still a lot of work, and you will want to mentally prepare for this project. Plus, since we offer a professional grade fence, while our fence offers a great value, the quality and warranty puts it in a category above the cheap fencing on the market, so you will pay more for some styles of fence. The box stores can occasionally provide a very cost-effective solution, but as stated above, you will need to do your homework to make sure that you really are saving money. Their fence systems are designed to make it look like you are getting an amazing price, but at the end of the day the savings aren’t usually what they initially seem. Plus, you will be spending more time and effort installing your fence. Also, what you save, you sacrifice in quality and longevity. Wood can be a cheaper option, but it will cost you more money over the lifetime of the product. In conclusion, there are many financial implications to a fence. We encourage you to give careful consideration to this investment. Time frame, financing, and what product to purchase are all big factors and it’s not a decision you will want to take lightly. You are also welcome to call anytime to call our fence specialists to discuss your options.